Unavowed is the latest point-and-click adventure from Wadjet Eye Games. Unfortunately, it’s not on iOS yet, but I decided to cover it anyway. This is the seventh part of my walkthrough guide and will take you through the sixth case at Bowling Green on Wall Street. 1. Head downstairs. Logan and Vicki are chatting. Talk to both of them as much as you want. Then head down and talk to Eli. Head in and talk to Mandana and then have her start the meeting. Eli is tired from fire reading. But he found some new information! The name Melkhiresa means knowledge! The demon seems to know how to achieve all its goals. Some big developments! 2. After the meeting, head back onto the subway. Choose two characters and get off at Bowling Green on Wall Street. I chose Eli and Logan. 3. The woman hanging up the poster won’t talk to you. But there’s another poster to the right. 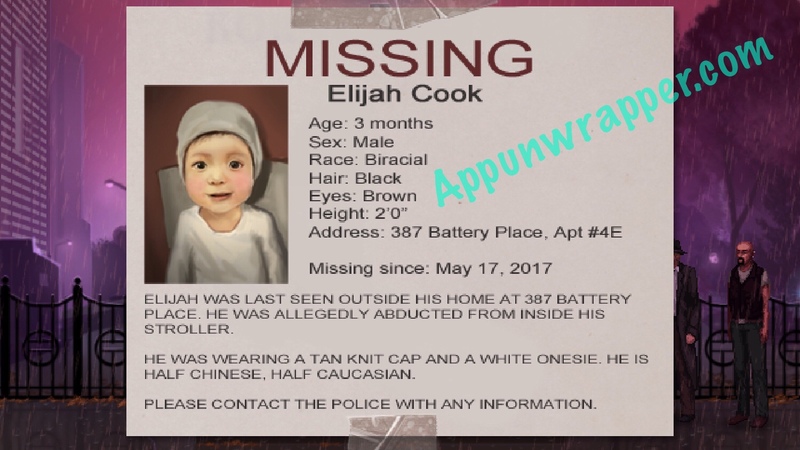 Look at it to see a 3-month-old baby named Elijah Cook is missing. It might be different each game, but mine says he lives at 387 Battery Place, Apt 4E. Head right and you’ll have another vision. The woman from before will come and talk a bit after the vision ends. 4. The door to this building is locked, but you have an apartment number from the poster. But you don’t know anything about the missing child, so let’s not bother the mother just yet. Head back left to the subway station. 5. Head left to Wall Street and the Charging Bull sculpture. Talk to the protester protesting Grant City Trust and learn about what and why he’s protesting. Then head to Grant City Trust. 6. There’s a ghost! Have Logan talk to it. He won’t tell you his name yet, so we’ll have to come back to him later. Head inside the bank and look at the portrait on the wall. It’s Jason Grant, who lived from 1944 to 2017. He’s the guy from your vision. Also, Eli knows him and Logan says he’s the ghost outside. 7. Talk to the security guard. 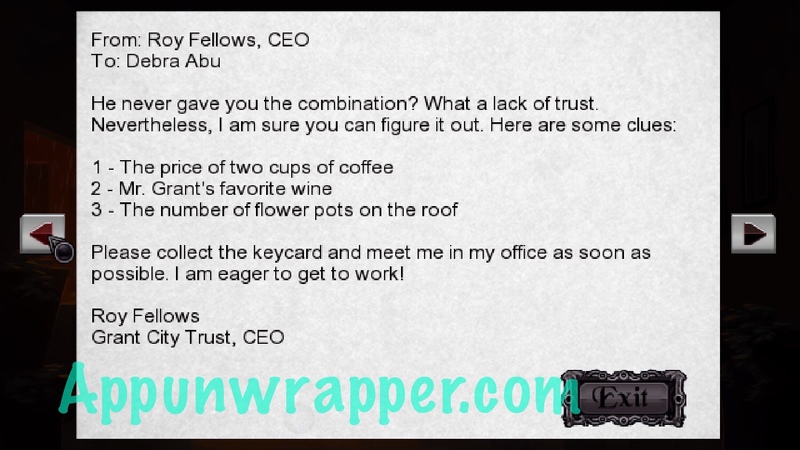 He tells you how Jason Grant died and that Roy Fellows is now running the place. You need an ID card to get into the rest of the building, so leave for now. 8. Talk to the ghost again. Mention his name and ask about Roy Fellows. He won’t talk. 9. Go back to the protester and ask him about Jason Grant. He tells you Jason deserved to die. Also, his name is Hugh Kravitz. Ask about Roy Fellows. 10. Go back to the ghost and ask about Hugh Kravitz. The ghost tells you that Hugh was fired because he set fire to his papers and threw them in the cubicle bay. 12. Go back to Hugh and ask about his firing and his confession. He confesses to you, says Roy Fellows made him kidnap the kid, but then collapses because he told the truth. 13. Go back to the apartment building and this time ring the buzzer for 4E. Tell her you have information about her missing son. Tell her it was Hugh Kravitz and she’ll let you in. 14. Winnie Cook says Elijah just disappeared while they were out for a walk. Get as much info from her as you can and then take a look around. Enter the bedroom. 15. There’s some glowing green ooze in the crib! Also, a stuffed detective bear named Griff. Go to the computer and enter GRIFF as the password. Read through the emails. Some notable details: Gloria Cook is Travis’ mom. Tomo is who you need to call for networking and security needs. Travis keeps his passport in Mr. Spookyface’s eyehole. All Grant City Trust ID cards were deactivated and new ones were issued. But a photo ID is also fine. There’s also an email from Julie Beckett. Julie, Elijah and Gloria? Eli Beckett’s family??! 16. There’s a mask on the wall. Look inside the eye for Travis’ passport. They think he looks like Eli. 17. Go back and talk to Winnie again. She says Elijah was named after Travis’ dad, Eli. It’s Eli’s grandson! Eli will run off after a hug from KayKay. 19. Go back to the security guard and ask him more questions. 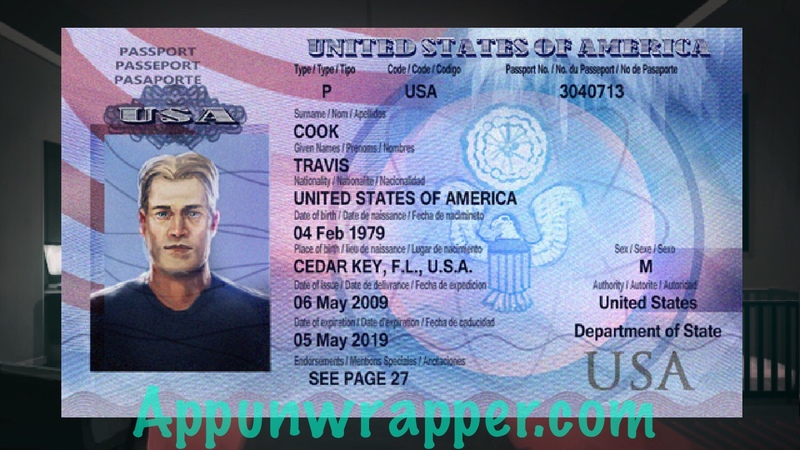 Then give Eli the passport so he can pretend to be Travis. Then head into the elevator. Insert your ID card in the slot by the control panel. You now have a choice between the Roof, Jason Grant, or the 14th floor. Let’s start with Jason Grant’s floor. You’ll get another vision! It’s Jason. Sounds like Jason made a deal with a Fae or fairy? 1 – The price of two cups of coffee. 2 – Mr. Grant’s favorite wine. 3 – The number of flower pots on the roof. 21. Get back in the elevator and go to floor 14. Another vision! It’s of Roy Fellows telling Hugh Kravitz that he owes him a favor and needs to place a charm around the baby’s neck when he’s by the Cooks for dinner. Mr. Fellows is a fae named Robin Goodfellow? 22. Ok, time to find the answers to those riddles. First, take a look at the sign by he vending machine. It says a cup of coffee costs $2.50. So two cups of coffee would be $5! So enter 2043 (or whatever your order is) as the passcode and go through to the roof. 25. Travis is up there! Send Eli to talk to him alone. Exhaust all dialogue options. He’ll give you the key to Grant’s office. While you’re up there, make sure to count the number of flowerpots. It’s 4. 26. Go back to Jason Grant’s floor and use the key to unlock his office. Go in for another vision. The fae wanted Elijah to raise him as their own! 27. Have Mandana open the liquor cabinet and grab the bottle of wine. Eli will tell you the year it’s from – 1934. That’s the answer to the second question! 28. Move the…thing…that’s one the desk to reveal a button. Press it to reveal a hidden safe behind the photo. Enter the answers to the three questions — 5, 34, 4. Take the blue key card from inside the safe. 29. Get back in the elevator and use the blue key card with it. Then take the elevator…up into the clouds?! It’s a pocket realm. And there’s a path made of ice! 30. The fae leaves Elijah with some weird frozen robot nanny? She’s an ice golem! Now to figure out how to get rid of her. You need to distract her so she doesn’t notice Eli throwing fire. Use the wine bottle with Mandana and she’ll go inside. Now use the bottle on the golem. Mandana will slice off her head and Eli will melt her down to be safe. Also, Mandana is drunk now and drunk Mandana is the best. Grab Elijah and take him back to Travis on the roof. 31. Oh no! That was too easy. The fae is back and he took Elijah again. You have no choice but to make a deal with the fae, but don’t worry — the baby can take care of itself! The fairy will still make threats, though. You have a choice to let him live or have Eli blast him. If you let him live, you can ask him for a favor later. 32. Now when you wake up at headquarters, you won’t be in control. This is a fun part.